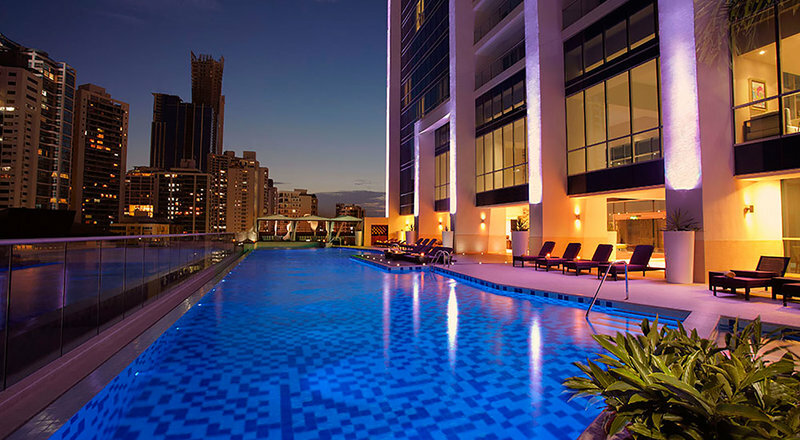 The package we have got here includes 5 nights at the all inclusive Hard Rock Hotel Panama Megapolis, a flight to Panama City from the US and back plus taxes and fees. The price you see below applies to departure from Baltimore, but you can choose from many other departure cities as well. If you like this Panama vacation, you should not let it go! You can choose from several travel dates for your trip, but if you want the best price, you should depart on dates between May 8 and 29 or on June 5 2017. Hard Rock Hotel Panama Megapolis is an all inclusive resort and a luxurious one as well, with the best amenities around, pools, restaurants, bars, activities and entertainment options and more. The resort has a huge casino, luxury rooms and suites with private balconies, signature beds, fully stocked mini bar, signature bath products, free Wi-fi access, flat screen TV with cable and many other things for your comfort. You would do well to also research for a couple of minutes before you book this offer. Select a couple of the merchants you trust, add the departure city you want and the departure and return dates and with one click you can finds lots of other vacation packages in the area.